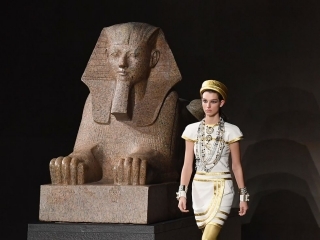 With the Temple of Dendur as the backdrop, the 17th annual Metiers d’Art show brought ancient Egypt to the heart of New York at the Metropolitan Museum of Art. 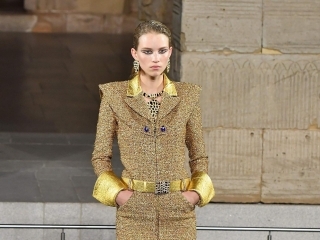 Staying true to the saying “old is gold”, and just like the pharoahs had used gold to represent perfection and eternity, Chanel designer Karl Lagerfeld paid tribute to the French fashion house’s eternal perfection of style and the skilled craftsmanship of its artisans with shiny gold hats and feather accessories, thigh-high boots and shoulder-grazing earrings. 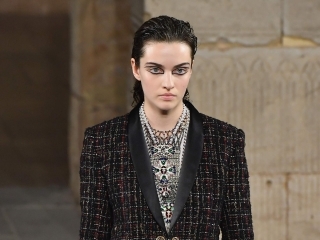 Before the show, Chanel also posted Instagram videos showing the intricate work of its artisan ateliers and workshops: metalwork and jewellery-making from Goossens, pleating from Lognon, feather and flower adornments from Lemarie, embroidery from Montex, costume jewelry from Desrues, embroidery and tweed from Lesage, Massaro shoes, and golden Maison Michel hats. 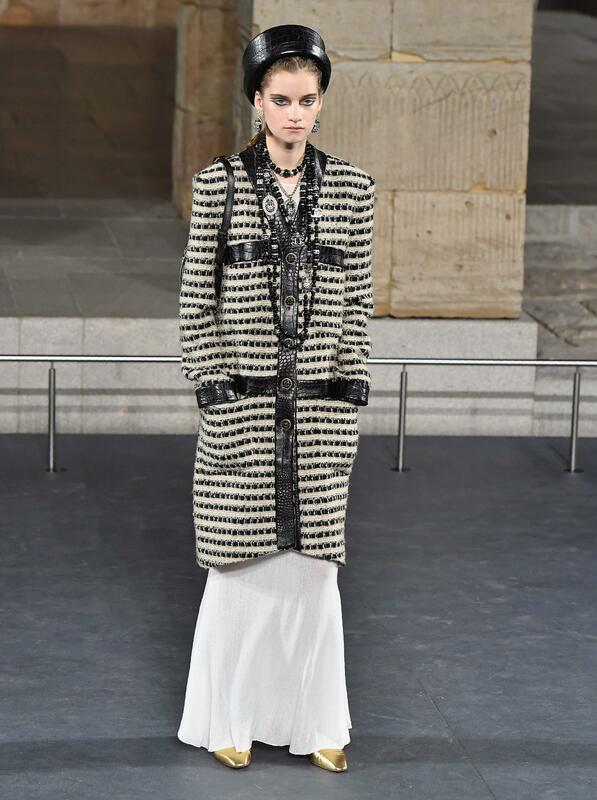 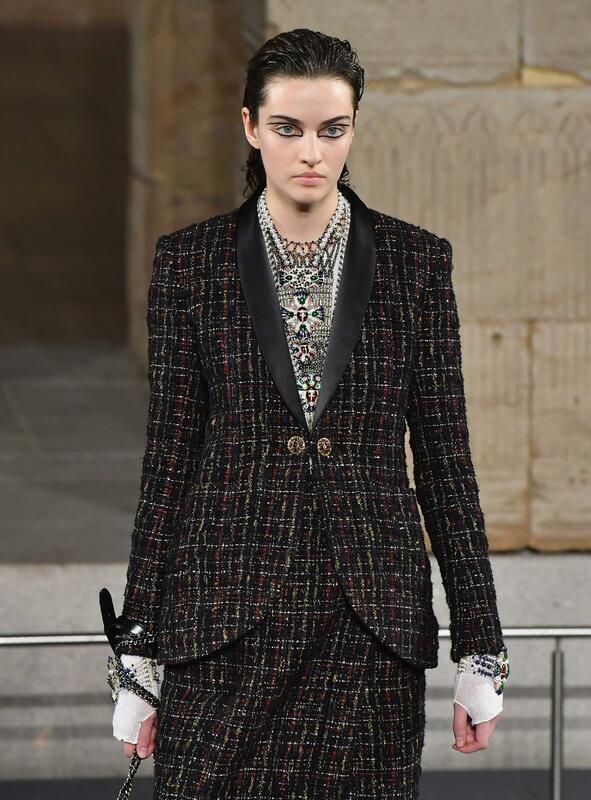 The runway also saw the signature Chanel jacket transformed with the iconic wide collar from Ancient Egyptian fashion. 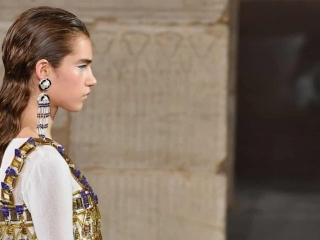 Looks were completed with lavish jewelry and eye makeup also reminiscent of the pharaonic style. 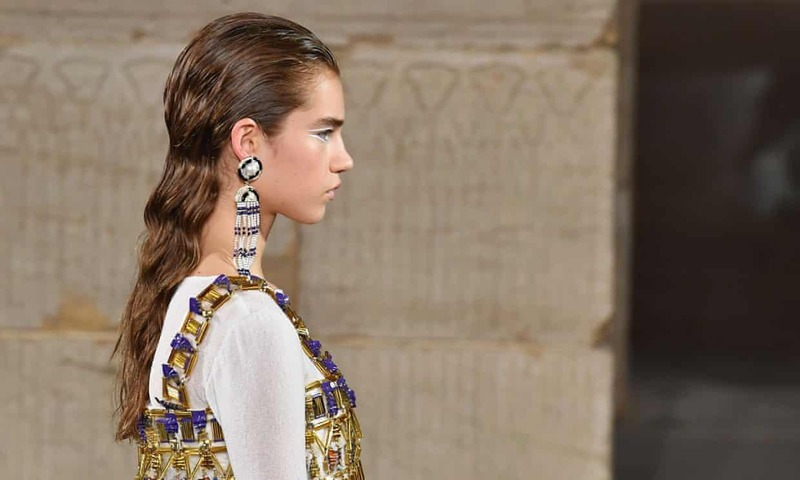 Symbols such as the scarab-beetle, lotus flower and hieroglyphics were also seen in print or embroidered onto the handbags and dresses. 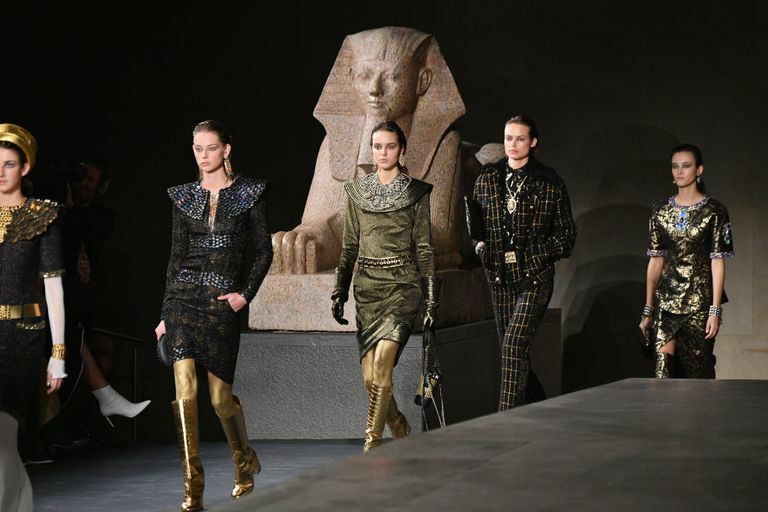 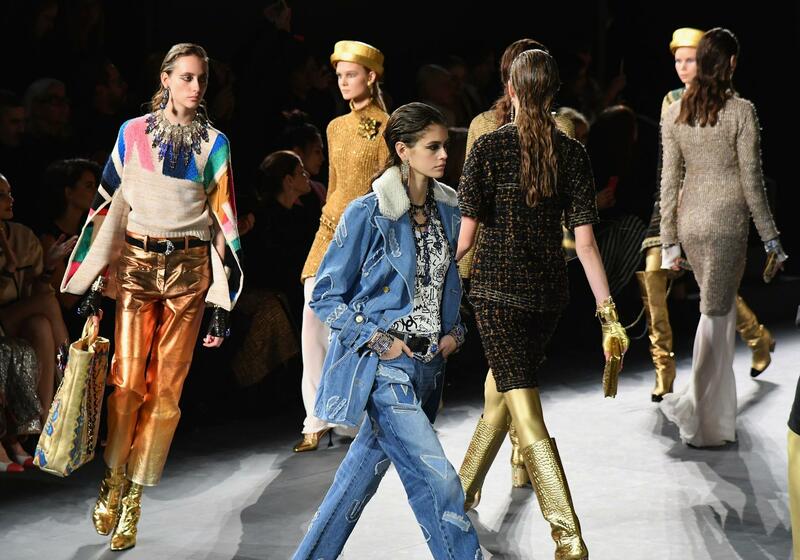 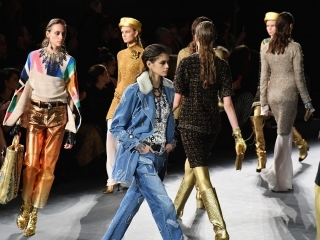 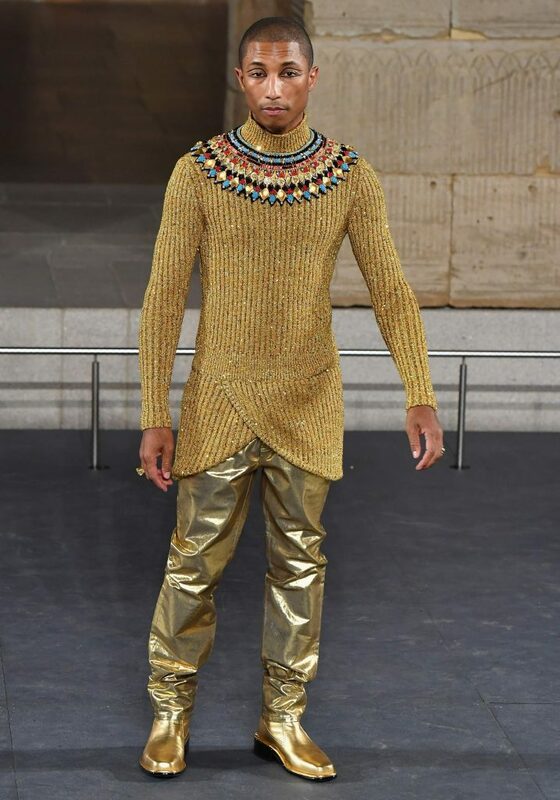 Singer Pharrell Williams graced the runway in a very Egyptian gold look while celebrities like Penelope Cruz and Marion Cotillard attended the show.